Hey, I'll Just Be a Mediator When I Retire! 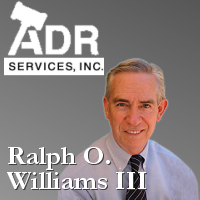 As an experienced mediator, Ralph Williams has completed more than 3,650 mediations. He currently provides his dispute resolution skills to the Los Angeles County Superior Court and the Los Angeles County Bar Attorney's Fee Dispute Panel. As a dispute resolution specialist, Mr. Williams mediates disputes involving business litigation, insurance policies and coverage, bad faith, employment discrimination, attorney, accountant, real-estate broker and insurance agent malpractice, real estate. 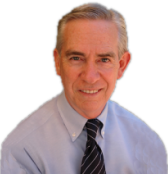 Mr. Williams is a member of the Los Angeles County Bar, the American Bar Association, the State Bar of California, the Southern California Mediation Association and the International Academy of Mediators. He has completed the Los Angeles County Bar Association's Dispute Resolution Services Mediation Training Program and the American Arbitration Association's Basic and Advanced training for mediators. Ralph Williams began his legal career in 1972 at Wyman, Bautzer, Rothman & Kuchel and tried cases for 25 years with King & Williams, which he co-founded with Michael King in 1975. He received his J.D. (1972) and B.S. (1970) from Glendale College of Law. He is rated "av" by Martindale-Hubbell.